Hope you must have checked my "Foods to avoid during pregnancy". 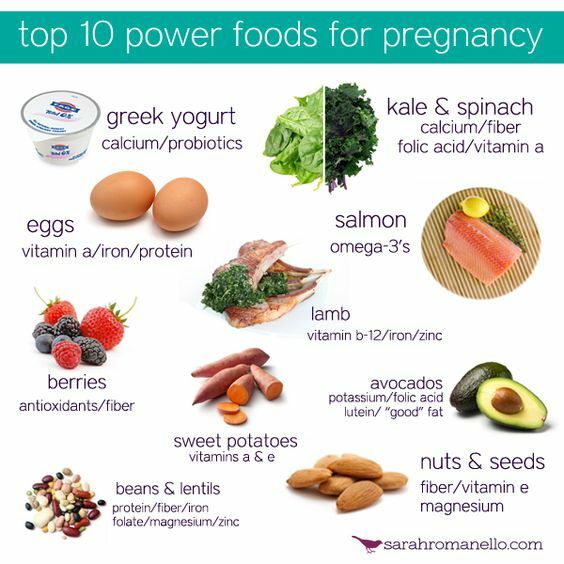 I thought of sharing "Foods to eat during pregnancy". 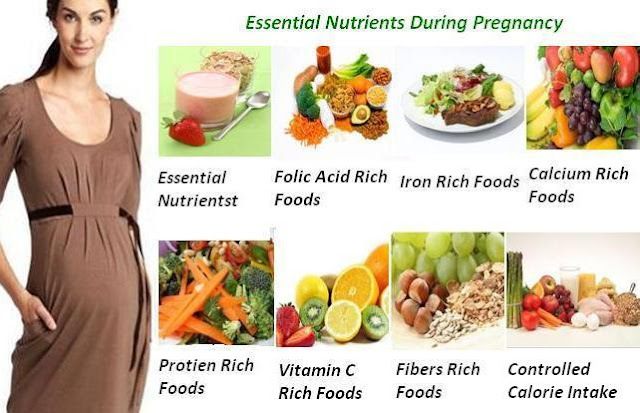 Helps build strong, dense bones in mother and child; may help prevent high blood pressure in pregnant women. 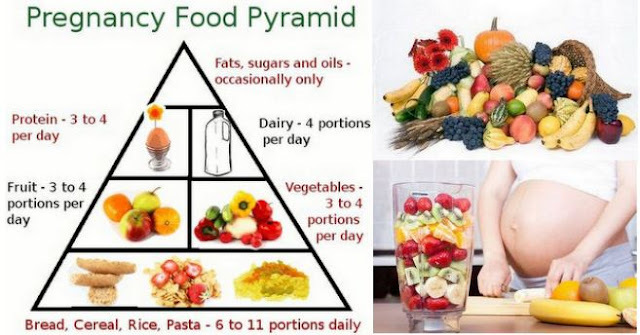 Keeps the body from using protein for calories; is an energy source. Crucial for baby's brain development; may enhance mom's memory. Fights constipation; helps prevent hemorrhoids in mom. Helps protect against neural-tube defects such as spina bifida; fights off anemia in mom. 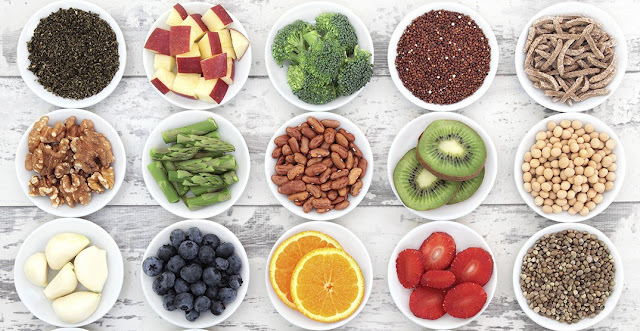 Folic acid is the man-made form added to enriched grains and dietary supplements. Ferries oxygen to the baby; prevents anemia in mom; wards off premature delivery. Provides the raw materials for cells, hormones and enzymes; keeps mom's fluid balance in check. Necessary for energy production and protein use. Assists in the production of protein to build new cells. Makes red blood cells; helps the body use fat and carbohydrates for energy. Vitamin CNecessary for strong bones and teeth; boosts immunity; increases iron absorption from food; keeps blood vessels strong, red blood cells healthy, and soft tissues intact. Promotes calcium absorption and deposition into bones. Critical for cell growth and repair and energy production. 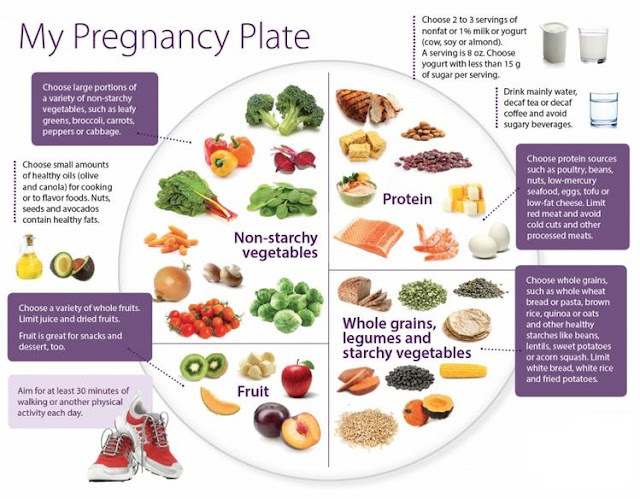 weight gain Women of normal weight should gain 25–35 pounds during pregnancy (28–40 pounds if you're underweight and 15–25 pounds if you're overweight; check with your doctor or midwife). calories Add about 300 calories a day to your diet during the second and third trimesters. what to avoid To reduce the risk of illness from the listeria bacterium, steer clear of unheated deli meats and unpasteurized cheeses. Never eat raw or undercooked animal foods such as meat, sushi, seafood or eggs; avoid fish that may contain excessive mercury, such as swordfish, shark, king mackerel and tilefish. Limit shellfish and canned fish to 12 ounces a week. Avoid alcohol and tobacco, and medications that have not been approved by your doctor or midwife. 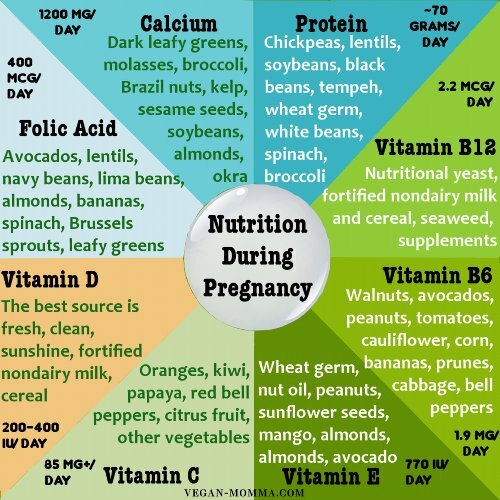 vitamins Take a daily supplement, as recommended by your doctor or midwife, that supplies 100–150 percent of the Dietary Reference Intake for all vitamins and minerals. Consider calcium supplements if you can't make the quota of 1,000 milligrams a day from foods and beverages. 3)Bananas - Rich in potassium, bananas are good for reducing fluid retetnion and maintaining a healthy fluid balance. Helps to sleep better. 5)Broccoli - plenty of calcium, magnesium (essential for bone development) and folic acid. Steam rather than boil to help preserve the nutrients. 7)Lentils & Legumes - providing protein and fiber, they are also good sources of key nutrients, such as iron, folate, calcium, and zinc. 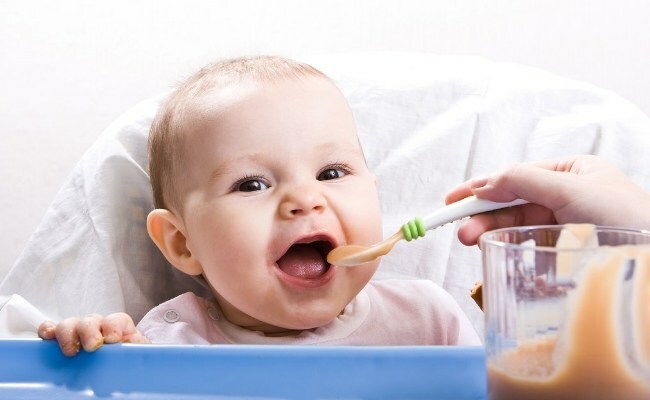 9)Avocado - Healthy omega-3 fats, which are good for helping the development of your baby's brain. 11)Prunes - fiber and keeps your digestive system running smoothly. 14)Salmon Fish - are excellent sources of omega-3. Protein, B vitamins and small but significant levels of iron and zinc. During pregnancy husband support is very important for wife. It's a long process and many physical changes happens within a pregnant body. So, husband support is enormous for a pregnant wife.